We’re crazy about everything tech, innovation, and groundbreaking design. It’s no surprise then that we pack some major Star Wars fans at the Speck office – and we’re right in line with the rest of the world waiting to see The Force Awakens on the big screen today. At the party, RJD2 was spinning with droid-like precision, fans buzzed around the real Star Wars relics and paintings on the walls, and our CandyShell Clear protected guest’s phones stronger than deflector shields on full. 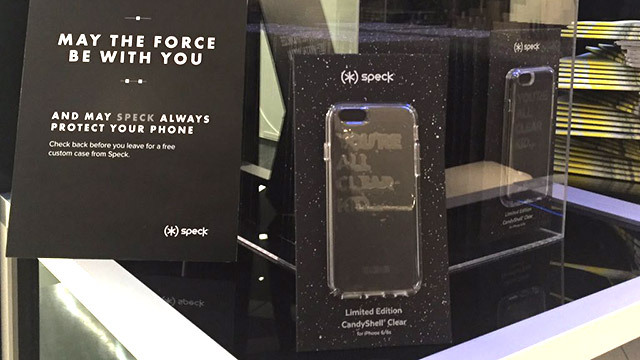 Fans of Speck + Star Wars, we hope you enjoy the premiere of The Force Awakens this weekend! May the force be with you.